Beautiful Waterfalls - Nothing is more enchanting and calming then a waterfall. Use this versatile waterfall screensaver which rotates 30 photos of professional quality waterfalls from exotic to tropical lands. See blue skies, rain forest, tropical islands and more. Waterfalls and Ancient Gods screensaver - Nothing is more captivating than a flowing waterfall. 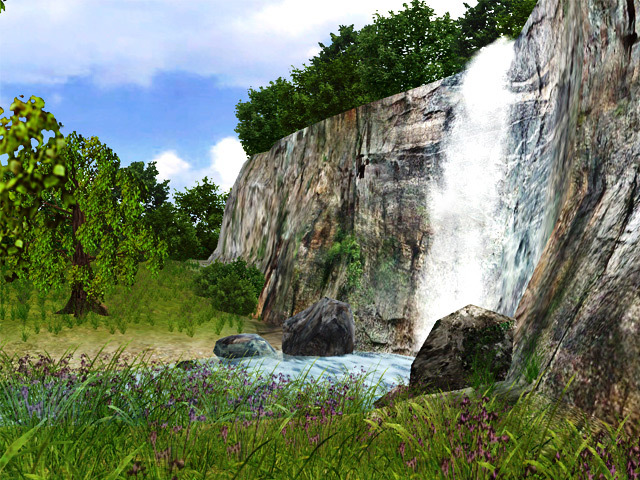 You will delight in the new living graphics of our new screensaver - Waterfalls and Anciet Gods. DPSM - Waterfall Screensaver - Waterfalls are one of nature's most captivating sights. Cascading down from their heights, they always create a sense of wonder that nature could form such a beautiful piece of artwork from mere rocks and water.Water is a good power! Majestic Waterfalls Screensaver - Majestic Waterfalls features three unique soothing waterfall scenes with high quality video animation and stereo sound.